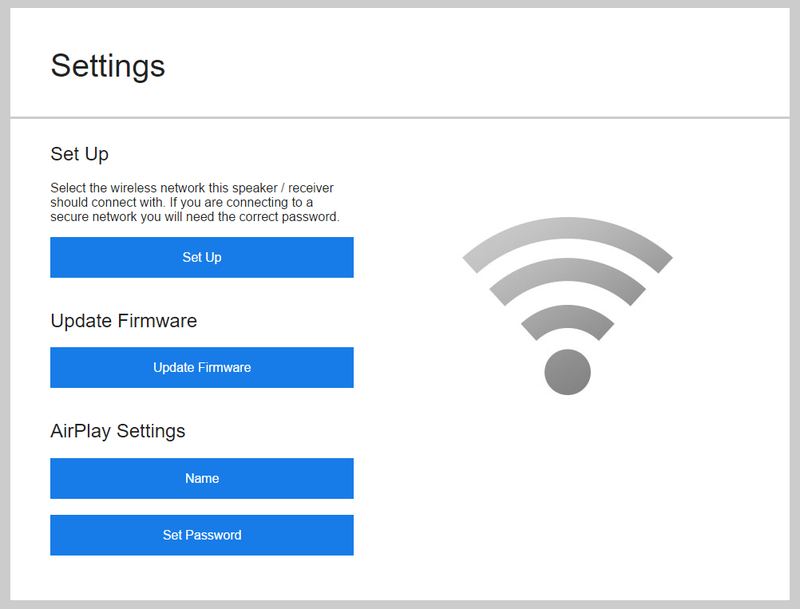 If set-up using other methods does not work, or if you need advanced options like Static IP configuration, Play-Fi products support configuration through a direct connection using a web browser. Using a PC or Mac, use your Wi-Fi to connect directly to the Play-Fi product as if it were a wireless network. It will be broadcasting under a name like “PlayFi2Device000xxxx” or something similar. After connecting, your PC may indicate there is no Internet access anymore, and this is normal. Hit “Enter” or your browser’s “Go” button. You should now be on the Play-Fi configuration screen. This page also has additional options for a network-based update as well as special configurations for Play-Fi products that include AirPlay. You can access and make use of these options once the Play-Fi product is configured on the network by typing the IP address it was assigned by the router into the address bar of your web browser.